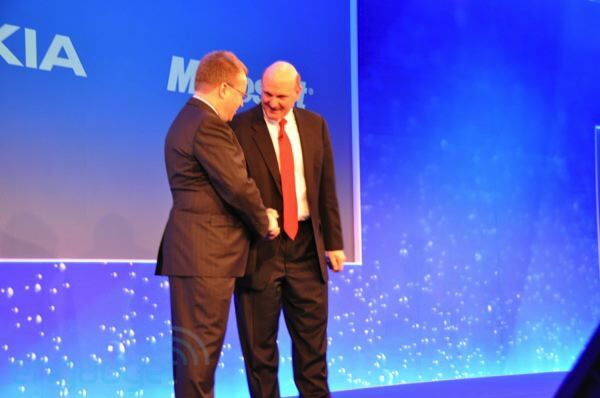 Live from Nokia's Capital Markets Day! 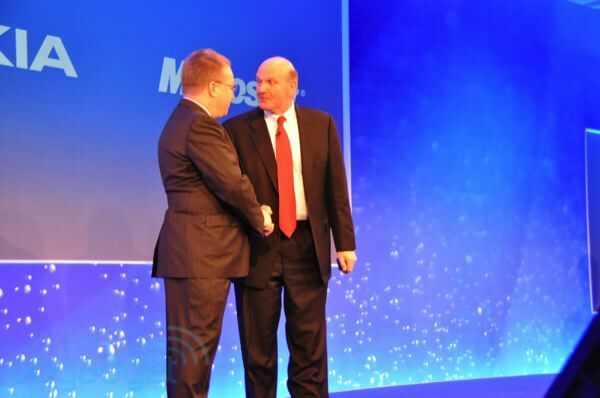 The time for leaked memos, rampant speculation and obscure references was brought to an abrupt end this morning when Stephen Elop and Steve Ballmer delivered the announcement of Nokia and Microsoft's future strategic alliance. 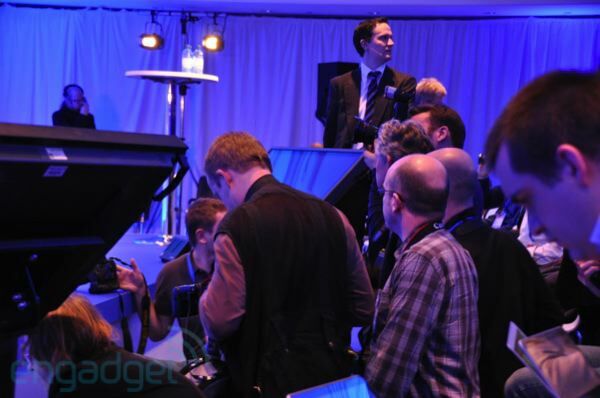 It all revolves around Windows Phone 7 becoming the smartphone strategy around Espoo, but there are still plenty of details to be explicated, highlighted and mulled over. 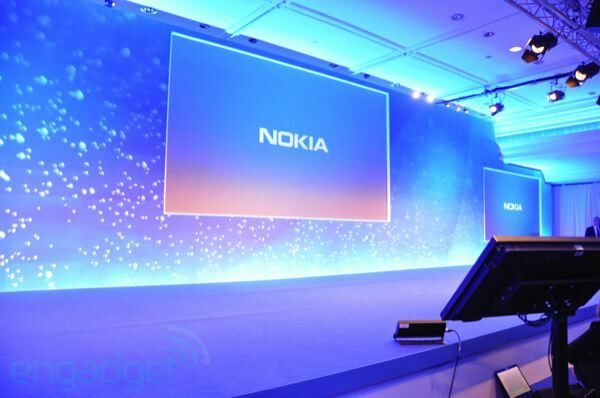 Stephen Elop is about ready to take the stage here in central London to officially kick off Nokia's annual Capital Markets Day, where we expect him to give us a clearer picture of what to expect from this tie-up of industry giants. Our liveblog, after the break you shall find. 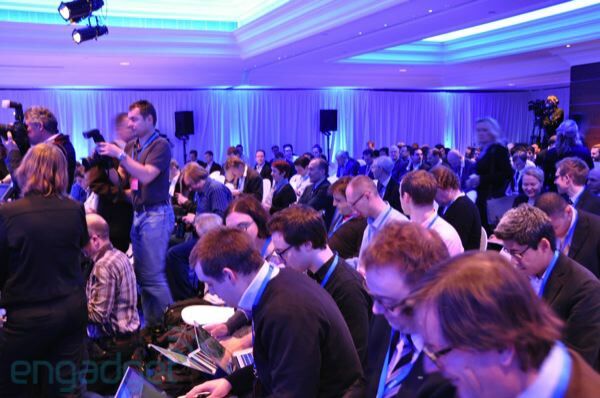 10:53AM That's it, a lot of hand-waving and hand-shaking and now Nokia's just another member of Microsoft's WP7 stable. 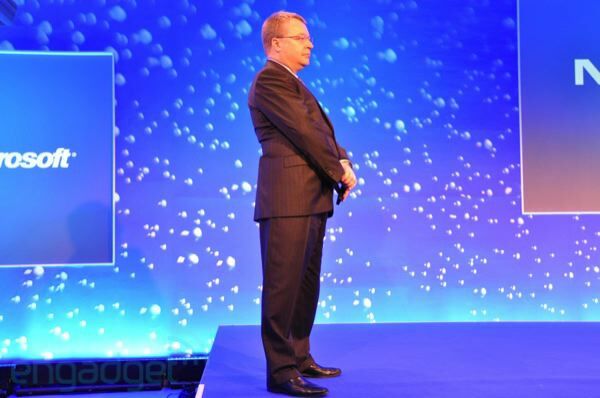 10:53AM A cute note from Stephen Elop: one of the European carriers responded to his news by saying, "Thank you! We're all smiles." 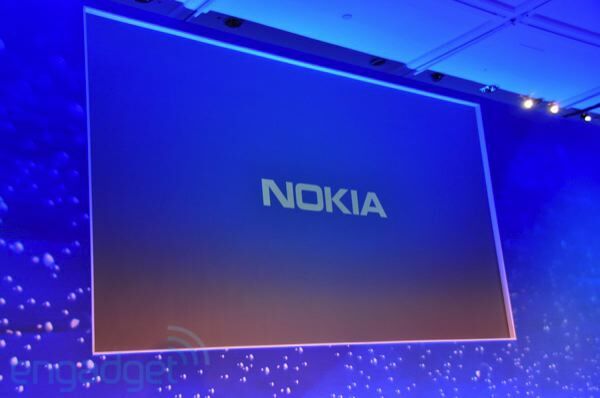 10:50AM Series 40 was mentioned as part of one of Nokia's "other" pillars, outside the smartphone pillar dominated by WP7, and it'll be discussed further in Nokia's financial and strategy briefing later today. 10:50AM MeeGo, however, seems to be dead in the water as far as mass market consumer devices go. It's all Windows Phone from here. 10:49AM The general message is one of collaboration, cooperation and getting to market faster. 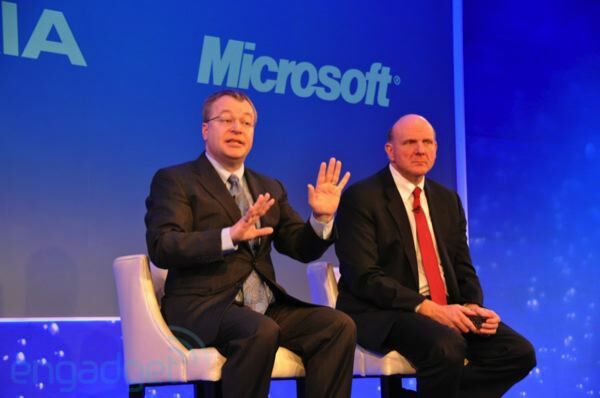 10:49AM Well, we had a few bumps along the road here, but Elop and Ballmer have concluded their Q&A and vamoosed off the stage. 10:47AM Elop: "With a clear strategy, the fighting spirit of the people of Finland will be brought to bear." 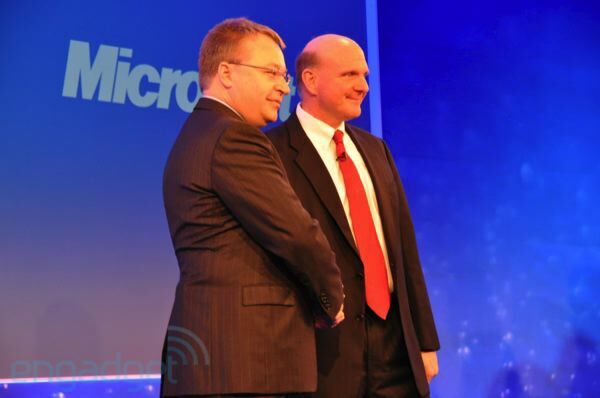 10:41AM Elop: "Our number 1 priority is the success of the Windows Phone ecosystem, which we will be participating in. At the same time, we have very clear plans that allow us to differentiate within that ecosystem." 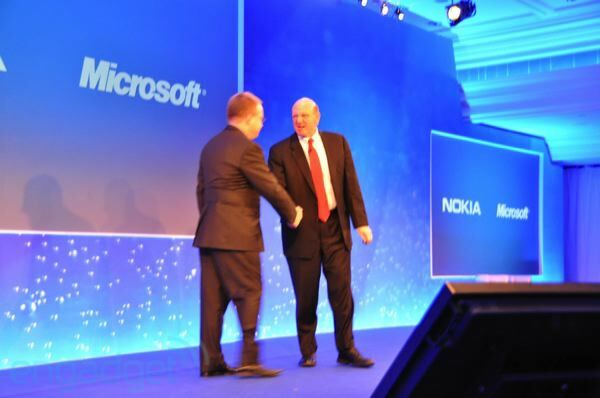 10:41AM "Nokia is first and foremost, and always will be, a Finnish company." A response to a question about Nokia reducing its staff in Finland. 10:40AM There will be "significant changes" to R&D spending. 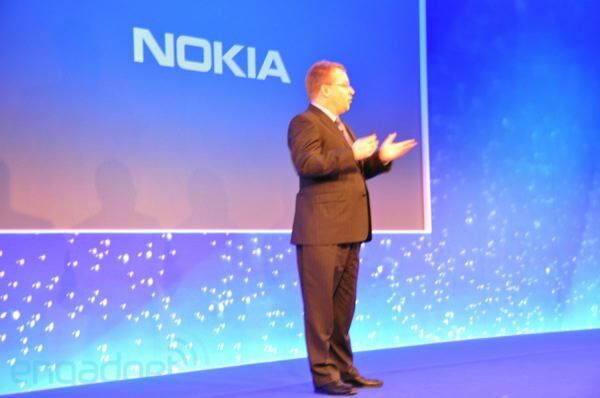 Nokia will be cutting its research and development costs, but Elop claims it will increase productivity. 10:40AM TechCrunch just got themselves a big cheer. 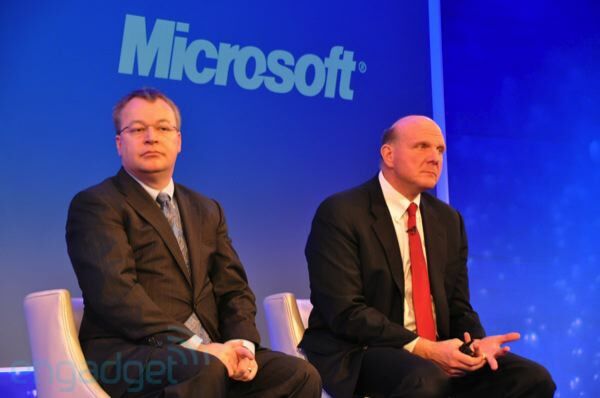 10:38AM Why Microsoft and not Android? 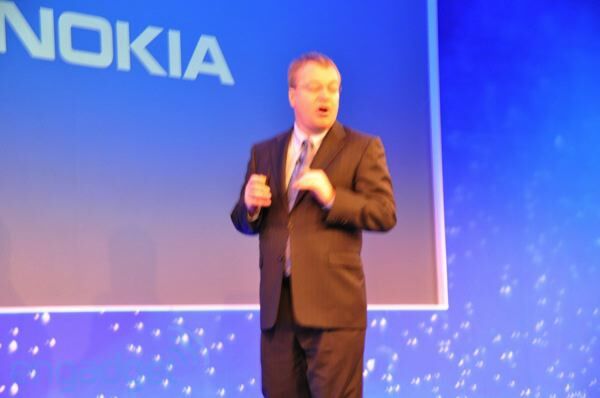 Elop says they assessed three options: one was MeeGo and Symbian, the internal option. He describes that option as "concerning," because of how slow he sees it developing. 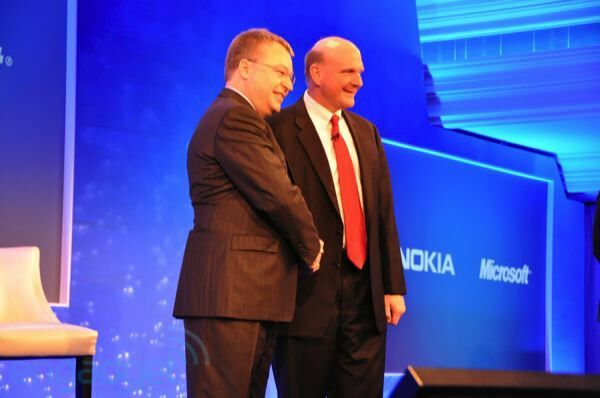 They've discussed Android a lot, but there was a sense that differentiation on that platform would have been very difficult for Nokia. 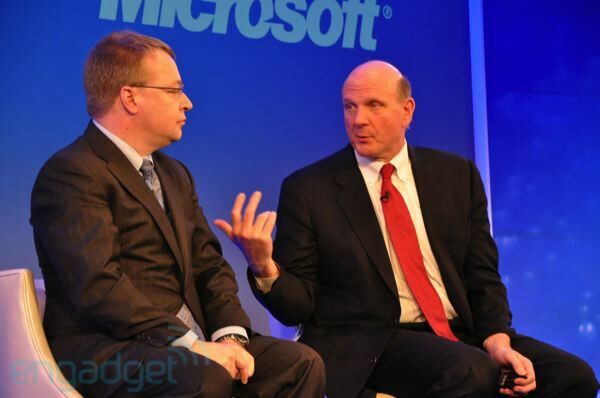 "The Microsoft option represented to us the best opportunity to build and join and fight" within a new ecosystem. 10:38AM "Windows Phone is our primary smartphone platform," that's been reiterated multiple times. 10:38AM Phew, we're back. Had some issues with our systems over here. 10:37AM Shipping first MeeGo device as "an opportunity to learn." Not as a separate broad smartphone strategy. About future applications, future devices, future user experiences. 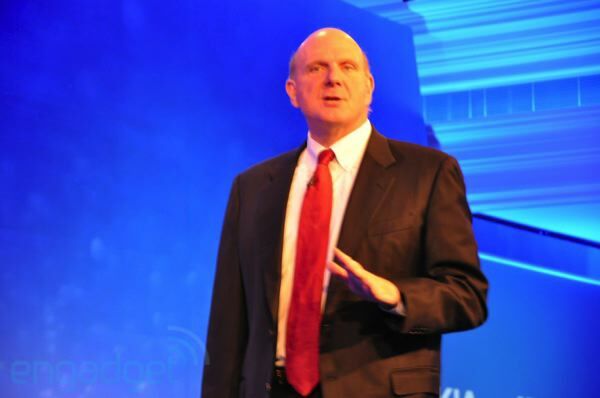 10:34AM Ballmer: "the engineering teams spent a lot of time on this already." 10:34AM Sorry, we're having some tech issues here. 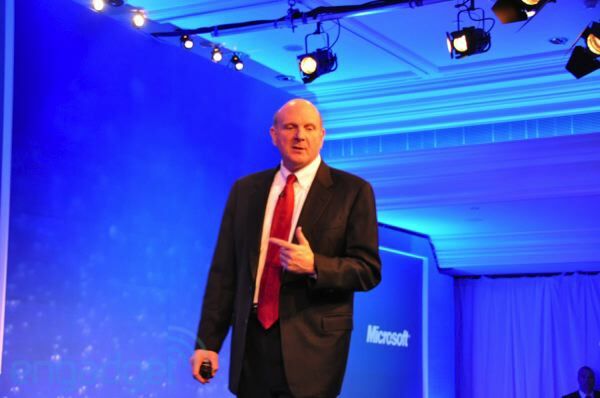 10:13AM Ballmer: "It is an honor and privilege for me to be here." 10:12AM "We are traveling on a path forward." Make a good change! 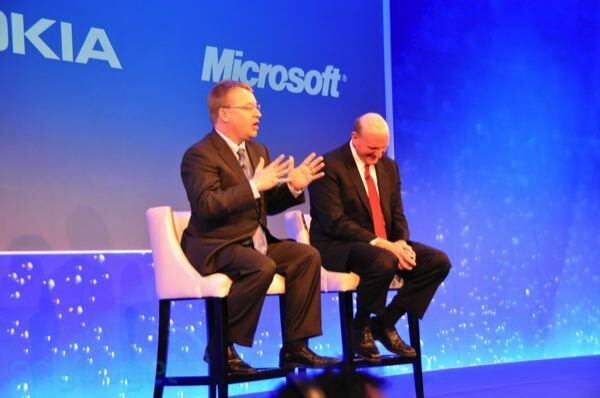 10:12AM At the end of the day, says Elop, consumers are what matters. And this is good for them too. Shocking! 10:12AM Also good for devs and publishers. They can take their Windows platform skills and bring them to this new venture. 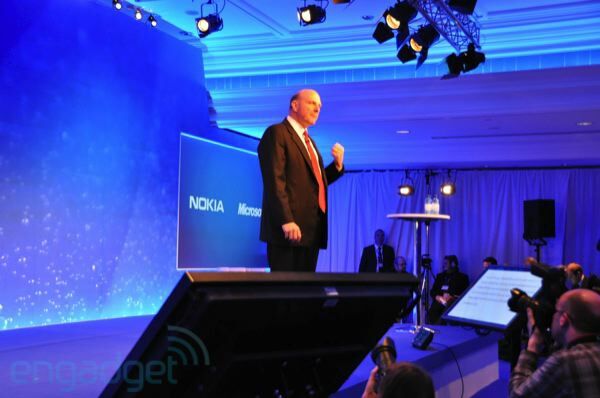 Makes it "easier for them to make money and gives them access to Nokia's global scale." 10:11AM "In short, more competitive products." 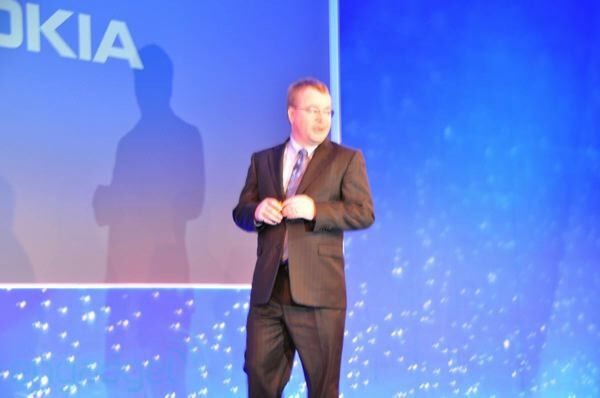 10:10AM "The joint product roadmap will give consumers a near-exhaustive portfolio" of services and applications. 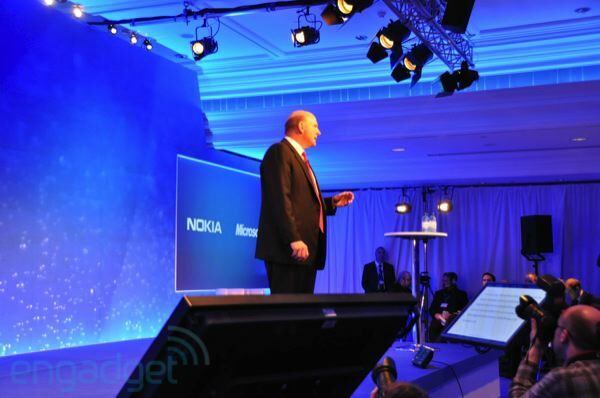 10:09AM Nokia "will help drive the future of the platform." 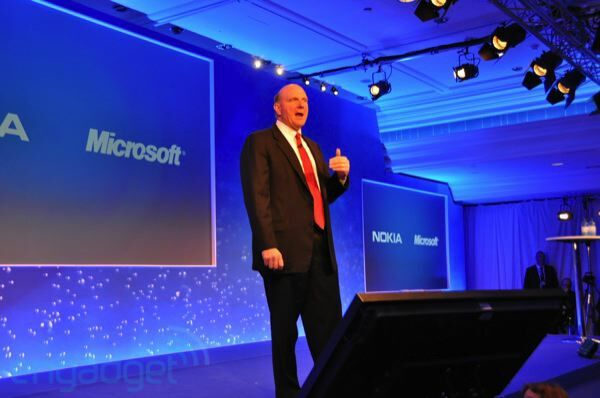 10:09AM Nokia will bring its leading mobile devices, Microsoft will bring Windows Phone. 10:08AM The ecosystem will include pretty much everyone under the tech sun. 10:08AM "Our long-term strategic alliance will build a global ecosystem." 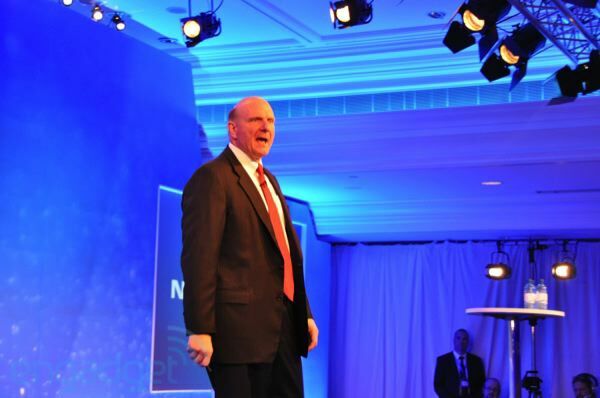 10:07AM He just announced the strategic alliance with Microsoft we heard about. 10:07AM "From a battle of devices to a war of ecosystems." 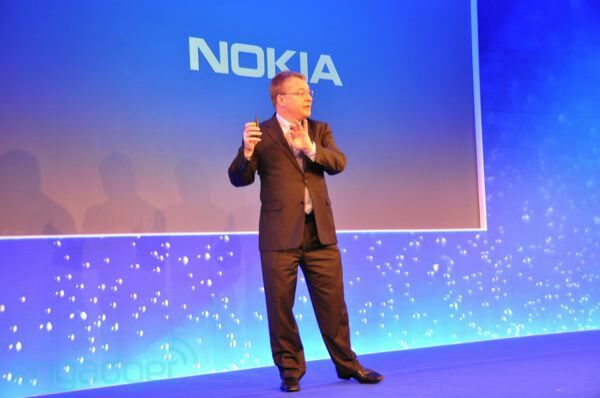 10:07AM Elop: "Nokia is facing a lot of challenges right now. The game has changed." 10:06AM Woah! Here we go. 10:03AM False alarm, they were just changing tracks. 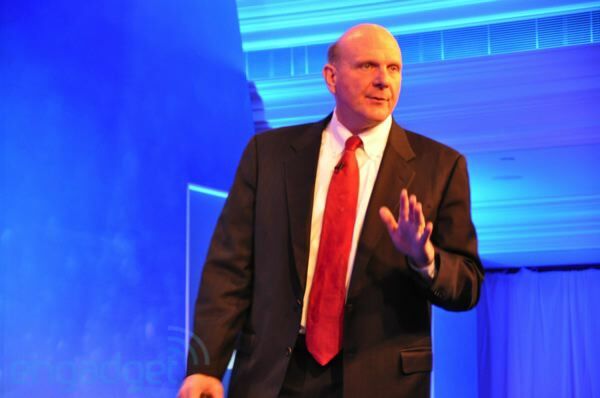 Steve Ballmer's still here, though. 10:03AM Uh oh. Music's died down. 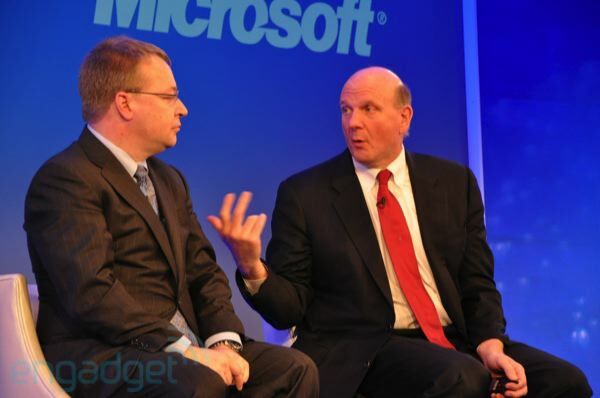 Steve Ballmer's in the house, by the way. 10:01AM Nokia's failure to play Wind of Change right now is the definition of a missed opportunity. 10:01AM As usual at these shindigs, we're being treated to an inoffensive music soundtrack while the photographers up front try to figure out their camera settings to deal with this extremely blue setting. 9:57AM Welcome! Make yourselves comfortable, we know it'll be an odd hour for plenty of you, but there should be enough excitement here to keep us all alert. And if not, we'll just have to raise some hell ourselves.